Remzije is a Professor at the Faculty of Law and the Department of Political Science of the University of Prishtina. Currently she is finalizing her Post-Doc studies at the Institute for International Relations of the University of Graz. 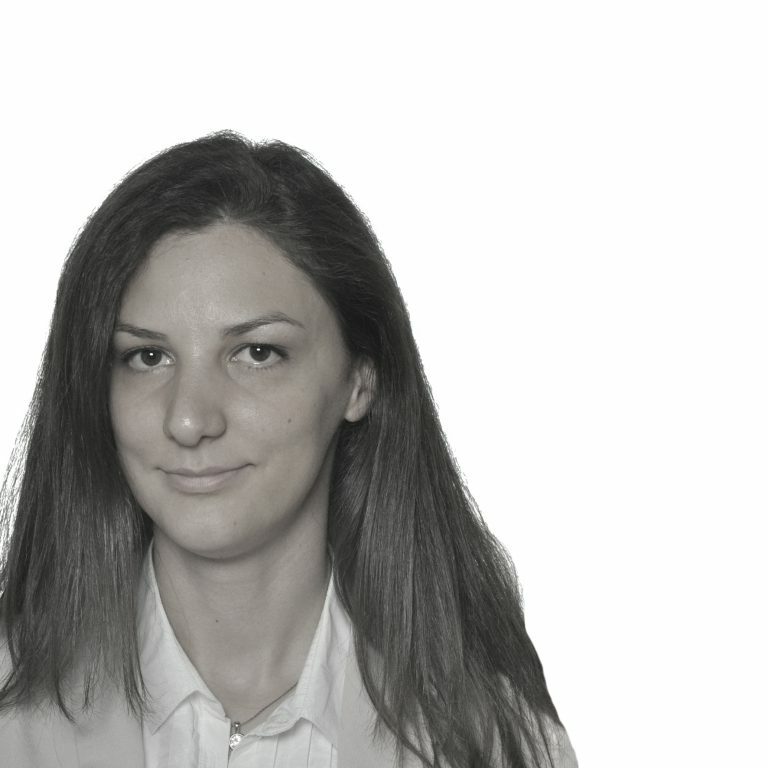 Ms. Istrefi holds a PhD with a specialization in International Human Rights Law and International Organizations. She studied International Human Rights Law (L.L.M) at the University of Notre Dame, Indiana, USA, (Ron Brown Fellow). In 2008, Ms. Istrefi was awarded the Fulbright Exchange Scholar Program from the US State Department under which she spent one semester at the John Hope Franklin Centre for Multidisciplinary Studies at Duke University. She is a member of the Bar Exam evaluation commission in Kosovo and is actively involved as a researcher in various research projects. Ms. Istrefi published several scientific articles in the field of human rights and has contributed to numerous books published in Europe. Since 2011 Ms. Istrefi is Arbiter at the American Chamber of Commerce. She worked as a Human Rights Advisor with the OSCE Mission in Kosovo and has served as a consultant for different international and national institutions including UNDP, ECMI, KJI and KIPA. TV journalist since 2005. Initially he was engaged with the sports section of the RTV 21 while since 2011 he works as a journalist with the newsroom to later on continue as an editor of the informative editions. Since February 2014 he ia the author and host of the CLICK televised programme. He was a Board member of the Basketball Federation of Kosovoa from 2012-2014 while currently he serves as the latters General Secretary since September 2014. He co-wrote BFK’s application for membership at FIBA. Mr. Morina holds a university degree in linguistics, majoring in German language and literature, from Prishtina University. 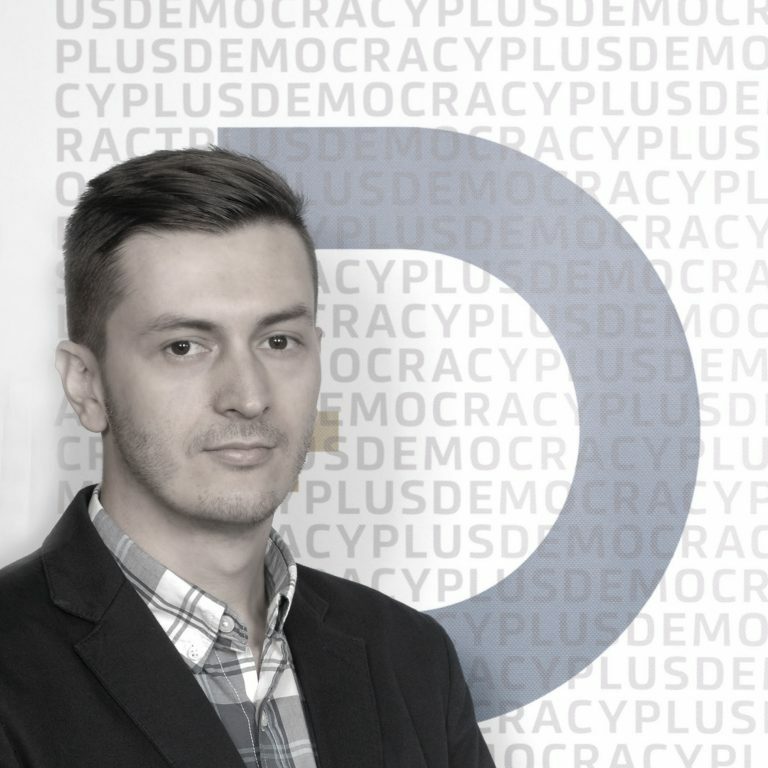 After five years of working experience in journalism in the pre- during- and postwar Kosovo, he joined the International Foundation for Election Systems – IFES as Project Coordinator. Since 2000, he has been working with various international organizations, such as IFES, CARE International, and Institute for Sustainable Communities – ISC. Among other duties in project management, Mr. Morina was directly engaged in monitoring project progress and assessing the achievement of the stated results and objectives. 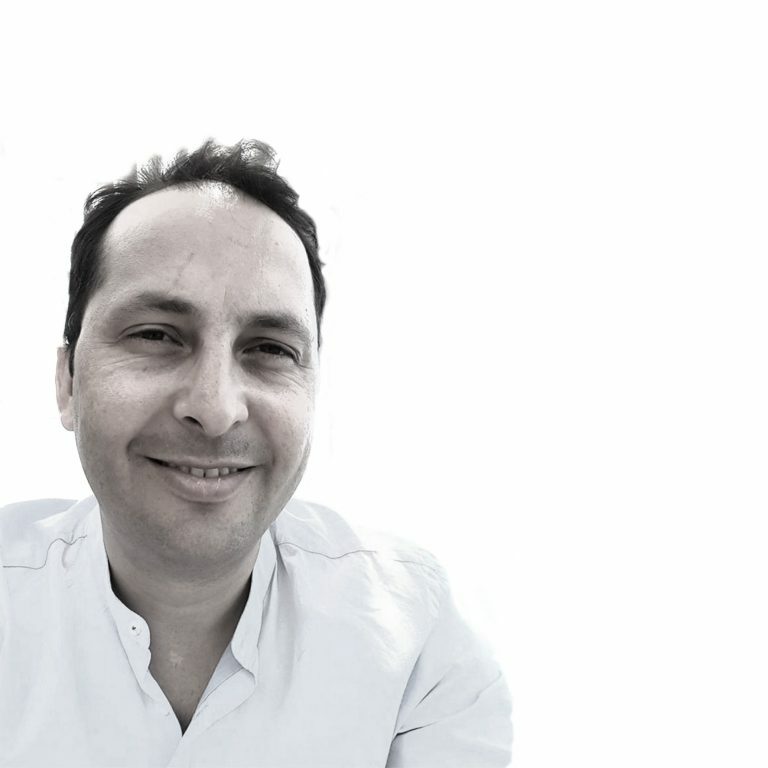 Since 2010, he works as a freelance consultant and is engaged in identifying priority areas and develops tailor-made project proposals and business plans. His main fields of project development stretch from economic growth, to strengthened Civil Society and enhancement of democratic principles..
Artane is a lecturer at Riinvest College and an independent economic analysis and policy consultant. She has been awarded her PhD in Economics by Staffordshire University (UK) for her research focusing on the relationship between human capital and inwards FDI in European transition economies. She has extensive economic analysis and consultancy experience as part of Riinvest Institute (2006-2012) and as an independent researcher/consultant in programmes/projects implemented by UNDP, GIZ (International Services), World Bank, Swisscontact, wiiw, ASD Group, etc., focusing mainly in the areas of employment, private sector development and competitiveness, and migration. Diella has a law degree and a substantial professional experience in the field of economic development and the rule of law in Kosovo. She currently works as a legal advisor in Crimson Capital (USAID – Partnerships for Development) on construction related legislative affairs, regulation of electric power as well as internal and external trade. Previous working experience includes consulting at various organizations in the fields of legal drafting, contractual rights, business enabling environment, and judiciary verdict executor. Diella acquired her Master’s degree in Law (LL.M.) with a focus on Commercial Rights in the University of Pittsburgh in the U.S, while she obtained her bachelor’s degree (LL.B.) from the University of Pristina. In addition to her native language, Diella speaks English and Serbo-Croatian/Bosnian fluently, and has some knowledge of the German and Turkish languages.Diella’s engagement in the Board of Directors is on a voluntary basis and is not remunerated for the work done in this capacity. 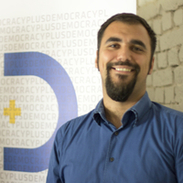 Valmir is one of the co-founders of Democracy Plus (D+). He holds a Master’s Degree in Public Administration from Stuart School of Business, Illinois Institute of Technology. Previously he has served as Coordinator of Democracy in Action (DiA) Secretariat, the largest network of elections monitoring in Kosovo. For several years he worked for various leading NGOs including Kosova Democratic Institute (KDI), Democracy for Development (D4D), Project on Ethnic Relations (PER) and Kosovar Institute for Policy Research and Development (KIPRED). 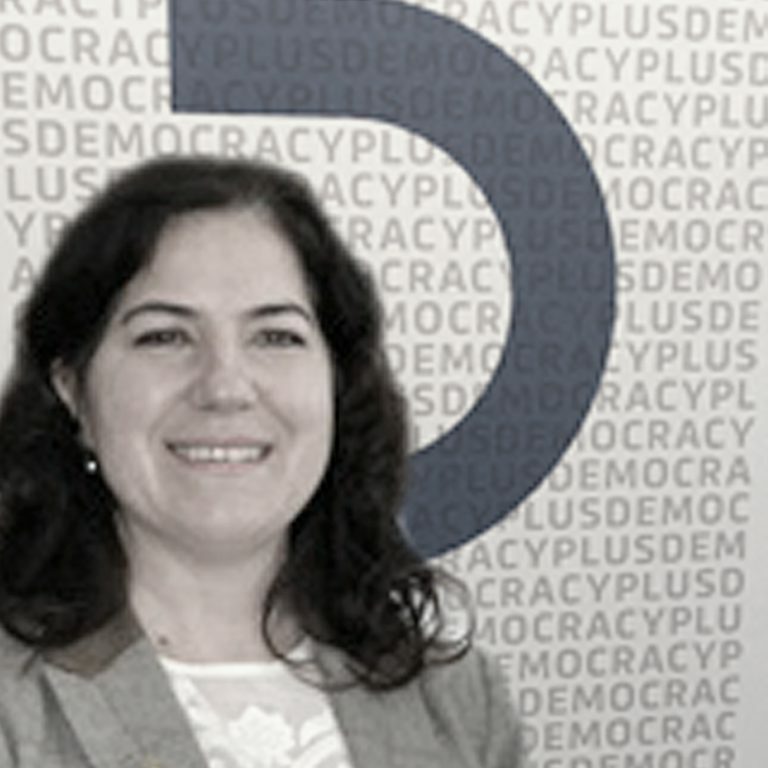 Valmir has extensive experience working with elections and political parties. He was engaged in monitoring the performance of central level authorities, with a special focus on the National Assembly of Kosovo and Central Election Commission (CEC), increasing citizens’ participation in policy making and empowering local NGOs and grassroots level. Elections, political parties and increasing citizens’ participation in policymaking are his top priority fields of interest. Isuf is one of the founding members of Democracy Plus. Is a lawyer with concentration in Commercial Law, International Trade Law and Contract Law. Isuf graduated from the School of Law of the University of Pittsburgh with an LLM degree in Commercial Law. Isuf has worked in the field of transparency, anti-corruption and democratization for an extensive period of time in different positions and organizations. He was project manager and lead researcher for Kosova Democratic Institute’s project “Transparency and Accountability in Public Procurement”. His experience extends to writing and publishing policy papers, monitoring reports and guidelines for new journalists and civil society activists on the practice of monitoring public procurement. Since 2009, Isuf served in three different capacities in the coalition of nongovernmental organizations “Democracy in Action” and was engaged in monitoring the performance of central level authorities, including both the Assembly and the Government of Kosovo, specifically increasing transparency, inclusion and accountability of the elected representatives and public servants. Isuf’s areas of interest is in field of transparency, anti-corruption and democratization. Roberta holds a Masters degree in Public Affairs from Indiana University, with concentrations on Policy Analysis and International Development. She is a Transformational Leadership Program alumna. While in the US, she held the position of teaching assistant for a statistics class and was the international student representative at the Graduate Student Association. Roberta’s professional background is in working with central government institutions where she was engaged as an external advisor through the Capacity Development Facility, as well as in offering consulting services to international non-governmental organizations. She has experience working with minority communities in Kosovo and was part of the team that drafted the Strategy for Communities and Return 2014-2018, and the Action Plan for its implementation 2014-2016. Her field of interest is in public policy analysis, specifically quantitative program evaluation, and impact measurement that leads to informed data-based decision making at the central and local levels of government. Her area of expertise is on fiscal and social policies, specifically tax systems in developing countries, as well as poverty and corruption alleviation. 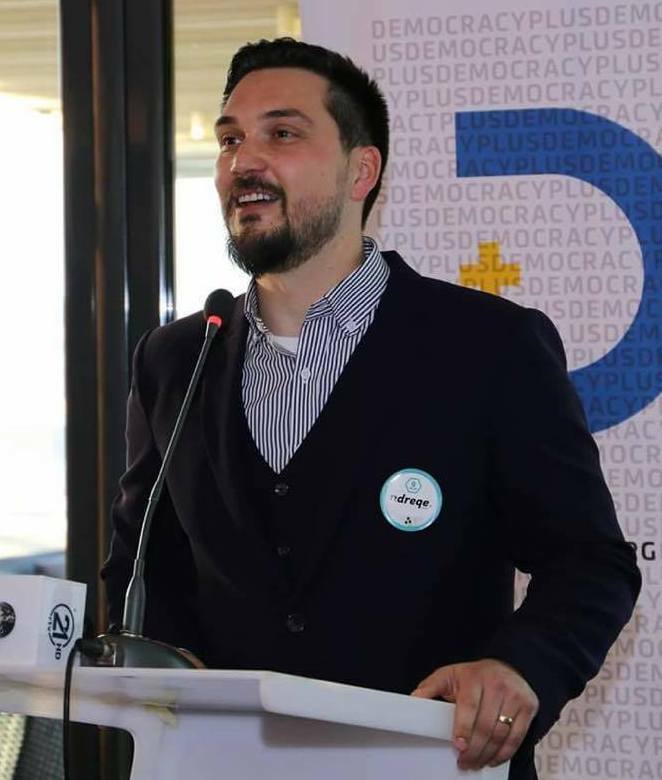 Vladan Jaćimović has been actively involved with the civil society sector in Kosovo in the areas such as enhancing accountability of institutions, reintegration of returnees, and empowering vulnerable groups through trainings. He coordinated a project at the Center for Peace and Tolerance, aimed at enhancing the accountability of Ombudsperson Institution in Kosovo and its relations with Serbian community. He also assisted the implementation of IOM's and DRC's projects aimed at return and reintegration of displaced persons, by organizing training sessions for youth and women returnees. 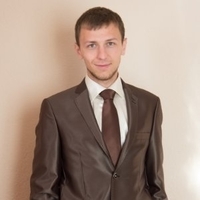 Vladan holds a master's degree in Instructional Systems Technology from Indiana University. This project-based academic training has brought him experience of conducting program evaluations, needs assessments, and instructional design projects with organizations such as: Habitat for Humanity, YMCA, IU Health Center..
Albina holds a Bachelors degree in Economics from Pace University in New York, USA. Her dissertation, which focused on Women’s Issues and Education, was selected as a prominent thesis and presented at the Federal Reserve Bank in Dallas, Texas. 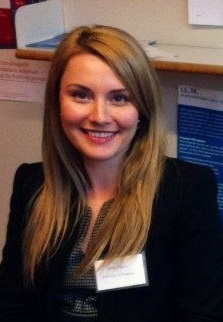 During and after her studies she worked for Amnesty International, Haver Analytics and Consulate of Kosovo in New York. She returned to Kosovo and joined Gashi& Gashi law firm where she was a legal analyst. She is an advocate for women’s economic empowerment and human rights..
Arbelina has joined D+ as a researcher/monitor on public procurement. She has graduated at Bachelor studies at the Faculty of Law at the University of Prishtina and the English Faculty at the AAB College. She is at the end of her Master's degree in the Civil Program at UP. Arbelina is a supporter of the rule of law empowerment in Kosovo and the anti-corruption fight, and a supporter of the principle 'nobody over the law'. Earlier, she was involved in various initiatives of non-governmental organizations aimed at improving the rule of law in Kosovo..
Agon has joined D + since December 2017 as a monitor in the Rule of Law Program, with particular emphasis on monitoring public procurement. He has completed bachelor studies in Economics at the University of Business and Technology (UBT). He is attending master's courses in Procurement and Logistics. Agon monitors and investigates public procurement to prevent misuse of public money..
Ngadhnjim is pursuing Master level studies in Management of Information Systems at Northern Illinois University, as part of the Transformational Leadership Program. Ngadhnjim began his professional career as an English translator for the newspaper “Zëri”, where he worked for one year. Shortly after, he started working in newspaper “Lajm” as an English translator and Web Maintenance staff, where he was engaged for a year and a half before switching his career orientation to Civil Society by joining the non-governmental organization Democracy for Development (D4D). He worked at D4D for almost two years in various projects, initially as an Assistant researcher and later as a Project Coordinator and Manager. His field of interest is in Data Analytics and Research, particularly, in analyzing and interpreting data. Armend is Chief of Analysis and Reporting Cell, Democratization Department, OSCE Mission in Kosovo. He is also engaged as Adjunct Lecturer with RIT Kosovo (former AUK), where he teaches IR modules such as Ethics in International Politics, Politics in Developing Countries, and Public Policy. Currently, he is nearing the completion of his PhD studies with the University of Sheffield. His PhD research examines issues of democratization in transitory countries, more specifically the impact of former combatants in post-conflict democracies which results from their transformation from soldiers to politicians. Armend has obtained his BA on International Studies from the University of Leeds, and his MA on Conflict Resolution from the Peace Studies Department, University of Bradford. For several years Armend has worked with the humanitarian and civil society sector in England and the Western Balkans, as well as with various international organisations such as the OSCE, USAID and UNDP. He has also taken part in several research collaborative efforts bringing together researchers from various countries to cross-examine issues of post-conflict securitization, political transformation of former combatants, and other societal impacts resulting from war to peace transitions. His specific areas of interest are: disintegration, demobilization and reintegration / transformation of combatants, greed and grievance, security and democratization. Armend has authored and coauthored a number of journals and reports on the above themes.